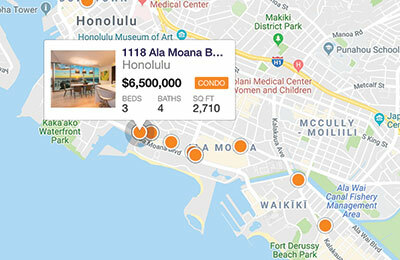 Looking for luxury real estate around Waikiki, Lanikai, Kahala, and Honolulu? I have listed here some of the best available options in and around these exotic locations of the Hawaiian Islands. Here, I have carefully selected and listed Single Family, Multi-Family, and Agricultural properties. Representing a luxury, upscale lifestyle with sophisticated state-of-the-art amenities, these residing properties stand among the most charming and luxury destinations in the islands. We’d love to share the features that make these homes noteworthy. If you would like to see YOUR home listed below, please give us a call at 808.295.0704 to receive a personal in-home consultation or click here to get your FREE home analysis.